At the time the Spanish landed in he New World, there was only one Pre-Columbian culture that had a written alphabet, and that was the Maya. Now I have heard that in earlier centuries, the Zapotecs and Mixtecs of Northern Mexico had a written alphabet, but stopped using it after a certain point. Curiously, the Aztecs and Inca did not have their own alphabet, however advanced they may have been in other respects. Right now, the only instances we have of writing in Mayan are glyphs at various Maya ruins and four surviving codices that escaped the religious zeal of the Spanish missionaries in destroying what they perceived to be heretical. And since the subject matter related to Maya religion, it was heretical insofar as Christianity was concerned. The most famous destroyer of Mayan codices was Diego de Landa, the Franciscan Bishop of Yucatán in the 16th century. In a famed book burning conducted in 1562, de Landa had 27 codices burned at Mani. 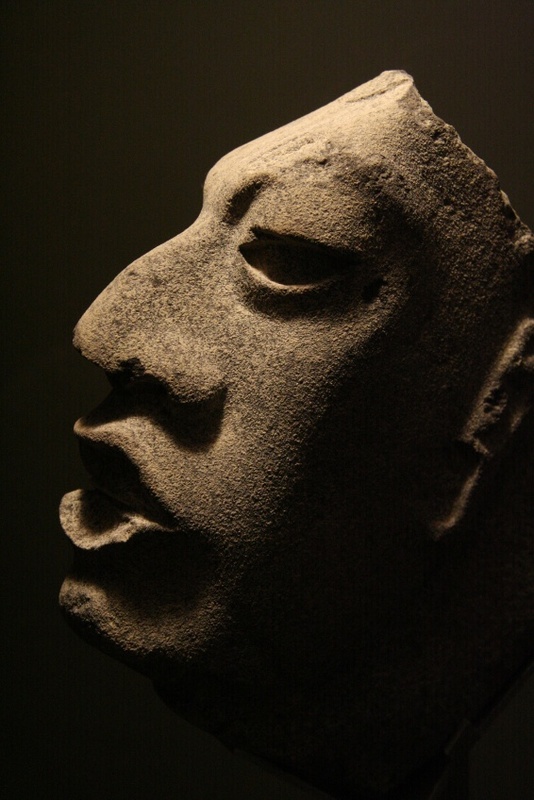 He described the Maya as being disconsolate at the destruction of so much of their culture at one time. 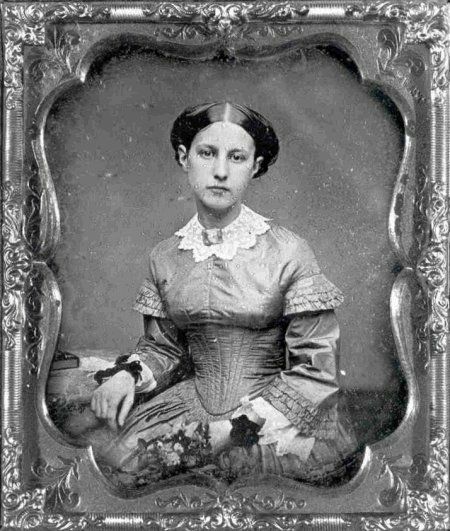 Curiously, it was the same de Landa who wrote the Relación de Las Cosas de Yucatán, which preserved an astonishing amount of the culture and language, such that it is still studied by Maya scholars. It is still available in a Dover Publications paperback. 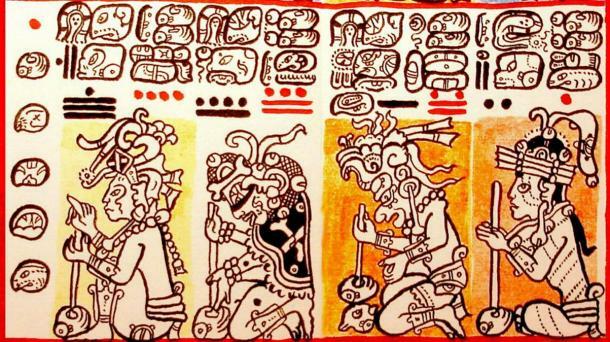 Do you see the dots and dashes in the above detail from the Dresden Codex just above the four seated figures? They are, in order, the numbers 16, 4, 9, 13, zero (yes, the Maya had discovered zero), 5, 12, 2, and 1. As you can probably surmise from this, the dashes represented the number five or a multiple of fives; and a dot, a one or multiple of ones up to four. It was a vigesimal system, meaning to the base 20 rather than base 10 like ours. Very likely, the numbers in the illustration represent a “long count” calendar date fixing a particular event in time. You can read more about Maya mathematics here. The other interesting thing about the Mayan alphabet is that some symbols were hieroglyphic and stood for an entire word and others phonetic, standing for syllables. This confused scholars for years. At the time I started visiting the Maya world, only the calendrical symbols had been decoded (mostly thanks to the selfsame good/bad Diego de Landa). In the last forty years, we have discovered that the Maya have a history. We have learned names of rulers and translated descriptions of events commemorated by Maya rulers. The world opened up for me when I was thirty years old. 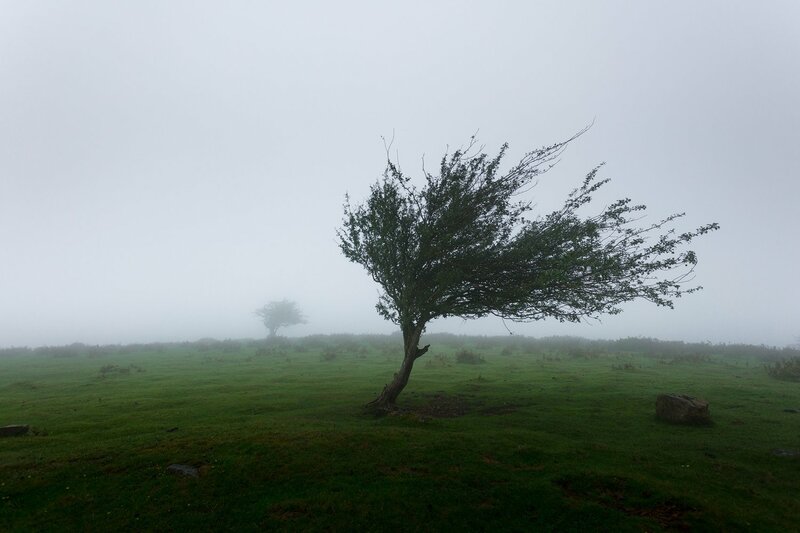 It was the first time I even thought of breaking loose from my mother and father and exploring the world. For my first trip, I chose Yucatán in November 1975. And it was magical. First there was that cab ride to the Hotel Mérida past snack bars that were open to the street. It was my first experience of the tropics (other than Florida), and in the dark I saw men and women drinking beer and sodas. I was able to peer into houses and saw families watching television. Once I checked in to my hotel, I stood at my sixth-floor window looking down onto Calle 60 and looking at passers-by walking on the sidewalk below. Suddenly one stopped and looked straight up at me. How did he know to do that? I stayed up until the wee hours of the morning, staring at an optician’s office across the way called Optica Rejón. I was entranced by the zócalo and the 16th-century structures surrounding it. I had my boots polished every day. There was endless people-watching, all those Maya with their distinctive noses. Around mid-afternoon, I hung out at the main entrance of the University (also on Calle 60, just a couple blocks from my hotel). So many beautiful young women that looked so different from the ones back home! 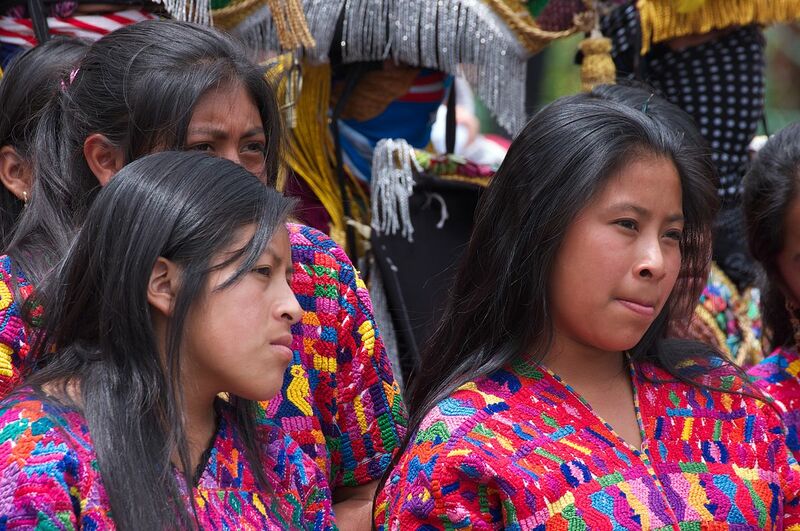 Young Maya women are astonishingly good looking. Can you wonder that, feeling the way I did about travel, that it would become a major feature of my life. Even though, in the next two years, I would travel to Europe, there was something about Latin American that lured me—and still does. 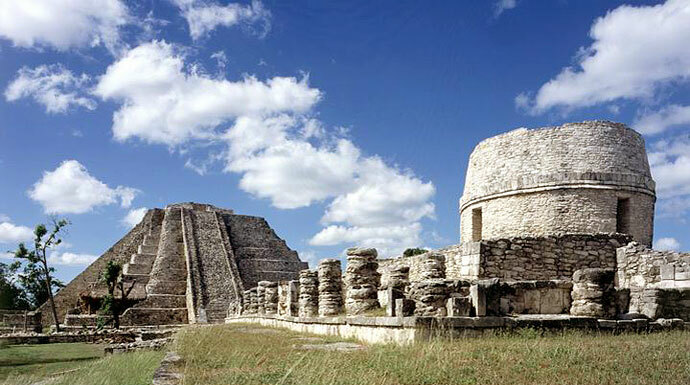 My first real trip outside the borders of the United States was to Yucatán in November 1975. I was so entranced with what I saw that I kept coming back to Maya Mexico for years, until 1992. During that time, I also wanted to go to Guatemala, but a civil war between the Maya and the Ladinos (Mestizos) was raging until 1996; and Guatemala was on the State Department’s “Level 4: Do Not Travel” list until just recently. Even now, the State Department as the whole country classified under a blanket “Level 3: Reconsider travel to Guatemala due to crime” warning. Why is it that I am so fascinated by the Maya that I would risk flouting President Trumpf’s State Department? For one thing, the Maya are incredible survivors. The Aztecs were ground down by Cortez within two years. In Peru, it took forty years before resistance was smashed by Pizarro and his successors. And the Maya? 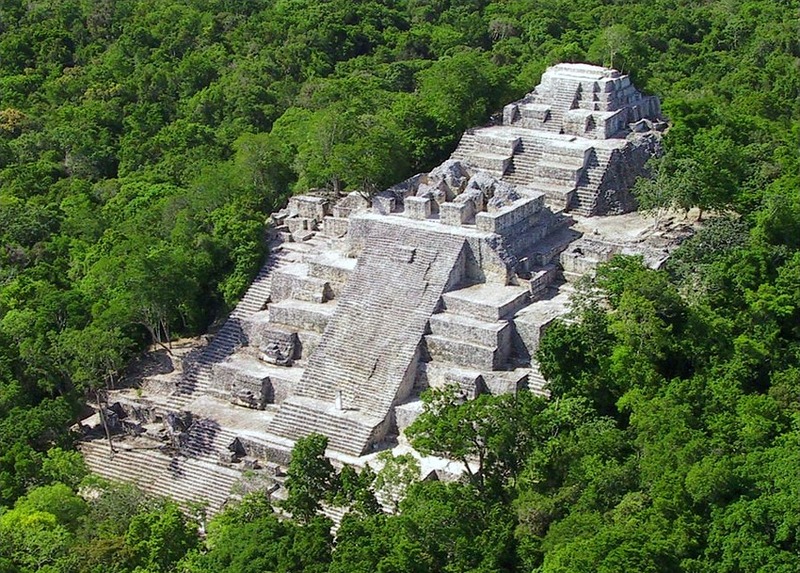 That took a full 180 years before the last Maya kingdom (at Tayasal in Guatemala) was leveled. Today, there are 1.5 million speakers of Nahuatl, the language of the Aztecs. There are some 6 million speakers of the 26-odd Mayan languages and dialects. Of course, the Incan Quechua language has even more speakers: some 8.5 to 11 million speakers in several South American countries. In Mexico, there was a Maya war against the Ladinos in Yucatán that lasted from 1847 to 1901 and a Zapatista revolt in Chiapas that flared briefly in 1994. In Guatemala, there was a violent civil war against the Ladinos from 1960 to 1996. It is estimated that tens of thousands of Maya were massacred by the army. 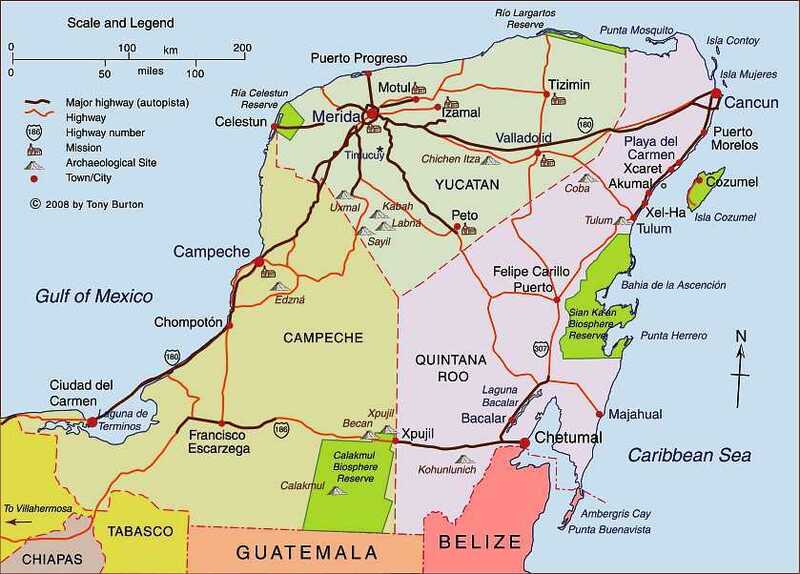 The Maya are still there, occupying large parts of Mexico (Yucatán, Chiapas, Tabasco, Campeche, and Quintana Roo); Belize; Guatemala; and parts of Honduras and El Salvador. It is no small achievement for them to have survived so much persecution for upwards of 500 years. That is what interests me.